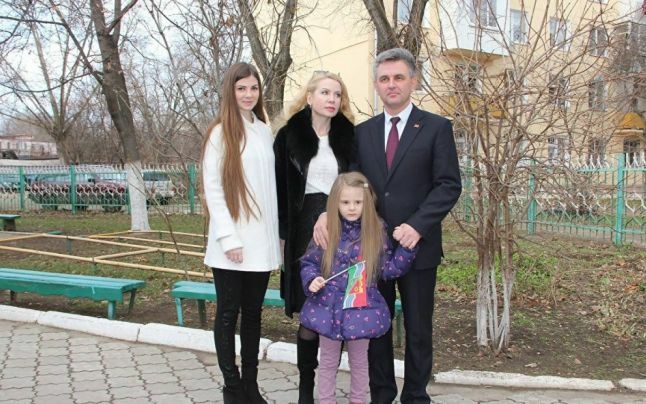 Well here in Romania it’s bitterly cold with snow in some parts (although not in Unicorn City as of yet) but over in the USA it’s officially Thanksgiving, a time for families to gather, a metric ton of food to be eaten… and thanks to be given. My family all live on other continents and I don’t eat meat (thus I have no interest in the traditional turkey dinner) and I won’t be preparing a huge meal but I do truly believe that it’s a very fine and good thing to take a moment to give thanks for all of the good things and experiences and people in my life. Growing factionalism in England between puritanical religious fanatics and “merry making” traditionalists led to a civil war, eventually culminating in the beheading of the king (and the introduction of a permanently independent parliament) as well as the outlawing of many forms of entertainment, putting the clamp on such things as theater (which affected the playwright William Shakespeare) and a complete ban on the celebration of Christmas. But before all of that came to a head, a small group of colonists were granted a charter by the English king to confiscate land from the Native Americans in the area of Plymouth Rock in what is now known as Massachusetts. The colonizers landed in December 1620 and the first Thanksgiving came in the autumn of 1621 in celebration of their first harvest (plus shooting five deer and “several” edible birds) and yes, plenty of turkey meat to go around (turkeys being literally the only food animal from the New World to be brought back to Europe). What’s interesting to me this year is just how many problems the English colonizers had beyond just trying to grow crops and relations with the natives, which persisted well past 1621 and that first (peaceful!) community meal. It may be thought strang that these people. should fall to these extremities in so short a time, being left competently provided when the ship left them, and had an addition by that moyetie of corn that was got by trade, besids much they gott of the Indans wher they lived, by one means and other. It must needs be their great disorder, for they spent excesseivly whilst they had, or could get it; and, it may be, wasted parte away among the Indeans (for he that was their cheef was taxed by some amongst them for keeping Indean women, how truly I know not). And after they begane to come into wants, many sould away their cloathes and bed coverings; others (so base were they) became servants to the Indeans, and would cutt them woode and fetch them water, for a cap full of coree; others fell to plaine stealing, both night and day, from the Indeans, of which they greevosly complained. In the end, they carne to that misery, that some starved and dyed with could and hunger. It should be noted that English orthography wasn’t established until a few years later so words in 1623 were spelled any which way the author wanted. What he’s saying here is that a ship (from England) had recently arrived and brought “corn” (nowadays called wheat to differentiate it from maize) but by the first part of 1623 the colonizers were once again starving. Many of them sold off everything they owned, including their clothes and sheets, and became “servants” to the natives and performed manual labor (such as cutting wood and hauling buckets of water) in exchange for a “capful” of grain. Meanwhile many other colonizers were regularly stealing food from the natives, which obviously antagonized relations with them further (the local chief would later poison poor Squanto, the native man who spoke English and acted as their interpreter). These passengers, when they saw their low and poore condition a shore, were much danted and dismayed, and according to their diverse humores were diversly affected; some wished them selves in England againe; others fell a weeping, fancying their own miserie in what they saw now in others; other some pitying the distress they saw their freinds had been long in, and still were under; in a word, all were full of sadnes. And truly it was no marvell they should be thus affected, for they were in a very low condition, many were ragged in aparell, and some litle beter then halfe naked; though some that were well stord before, were well enough in this regard. But for food they were all alile, save some that had got a few pease of the ship that was last hear. The best dish they could presente their freinds with was a lobster, or a peece of fish, without bread or any thing els but a cupp of fair spring water. In other words, some of the colonists were “half naked” even though they formerly owned plenty of clothes (I’m guessing they were sold off to the natives for food). They also had nothing to drink but clean spring water, meaning that they had no beer or liquor, which Bradford and the other colonists sorely missed. What’s especially interesting here is that the colonists welcomed the newcomers with lobster, which is now considered a delicious delicacy but for the first 300 years or so of European colonization in America was mostly used as food for animals or prisoners because a) it was cheap and abundant and b) it looks like a giant bug. Strange how fashions change! Later in the same year another ship arrives and the sailors after “roistering” (in other words, getting drunk and partying) in a building on a very cold night accidentally set fire to it, which burned down several other nearby buildings, including one where the colonizers were storing much of their supplies. And shortly after, when the vemencie of the fire was over, smoke was seen to arise within a shed that was joynd to the end of the store-house, which was wasted up with bowes, in the withered leaves wherof the fire was kindled, which some, running to quench, found a longe firebrand of an ell longe lying under the wale on the inside, which could not possibly come their by cassualtie, but must be laid ther by some hand, in the judgmente of all that saw it. But God kept them from this deanger, what ever was intended. In other words, after the fire was put out someone noticed smoke coming from a shed and they discovered that someone had intentionally put a burning branch in there. The first case in colonial America of attempted arson! But my favorite story in Bradford’s journal comes from 1621 after the Thanksgiving meal. In 2013 tomorrow in America will be “Black Friday” (which oddly enough happened last week in Romania) and then the official start of the Christmas “season”. But what was Christmas like for the colonizers in 1621? One the day called Chrismasday, the Govr calmd them out to worke, (as was used,) but the most of this new-company excused them selves and said it wente against their conscientes to work on that day. So the Govr tould them that if they made it mater of consciente, he would spare them till they were better informed. So he led-away the rest and left them; but when they came home at noone from their worke, he found them in the streete at play, openly; some pitching the barr and some at stoole-ball, and shuch like sports. So he went to them, and tooke away their implements, and tould them that was against his consciente, that they should play and others worke. If they made the keeping of it mater of devotion, let them kepe their houses, but ther should be no gameing or revelling in the streets. Since which time nothing hath been atempted that way, at least openly. 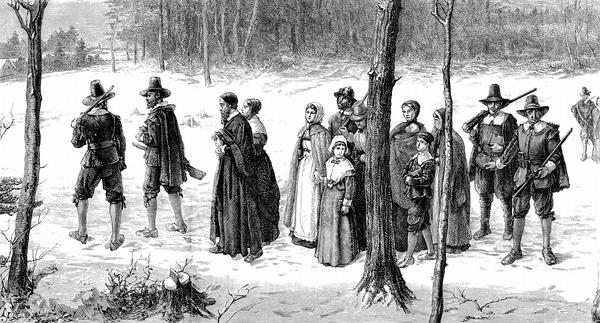 Christmas Day in 1621 fell on a Saturday, which meant that it was a work day in the Puritan world (they only rested on Sundays). The governor tells everybody to get to work and a handful of the colonizers “opted out”, saying it was against their conscience. Instead of arguing with them, the governor and the other workers head out to do their chores. But when they came back to town they were shocked to see some people playing stool ball (a kind of early form of cricket) and “pitching the bar”, which is roughly equivalent to caber tossing or throwing a heavy log as far as you can. In other words, the non-working colonists were having a big sports day on Christmas! When the governor came home for his lunch and saw all this, he immediately started yelling at them and told them to stay inside their houses and be quiet if they weren’t going to work. And from then on, everyone obeyed and no longer partied on Christmas, at least not “openly”. Love it! However you choose to spend this day, whether feasting or not, with family or not, working or not, playing sports or not, at least take a moment and give thanks for all of the good things in your life. I thank each and every one of you who have visited this humble blog, sent me messages, read my books, watched my videos, saw me on TV, met me in person and/or took time out of your busy lives to make me feel incredibly welcome and supported as I continue my amazing adventures in this crazy country I now call home. At this time of the year we also celebrate Hanukkah, so Chag Urim Sameach! It’s an event that will happen only once in our lifetime. But Thanksgiving and Hanukkah have many things in common, even when they don’t coincide on the same day. They are both special occasions that celebrate our religious freedom, remind us to be thankful for the way different people come together, encourage us to reconnect with our cultural origin, and indulge in traditional family foods.